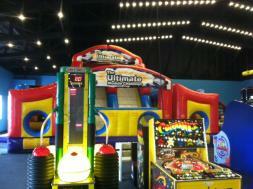 Hosting a birthday party at Jump-N-Joey’s is great for parents and kids alike. Our parties are full of bouncing, sliding and jumping fun for kids 12 years-old and younger. You can sit back, relax and enjoy a stress free day while we do all of the work. Our trained party coordinators will set-up, clean-up and keep the party moving. Available options include pizza or hot dogs, ice cream, drinks, balloons and goodie bags. Not your birthday? No problem! Our play center will open 7 days a week to help keep your kids active, happy and healthy. 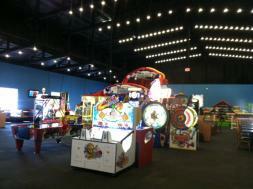 Our massive inflatables and huge game room are sure to please. Let the kids bounce off our walls….not yours! 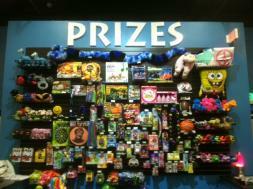 Daily admission is just $8.00. Kids under 36 inches just $6.00.